Self-improvement shows are no new phenomenon. Shows like Extreme Makeover: Home Edition and 60 second makeover and so on were shows that played on a loop on our Sky boxes. Generally the premise of these shows is to take a person, who is either down in the dumps or is lacking in self-love and teach them how to care for themselves, or alternatively, manage their house and appearance so that they can feel as though their life is functioning properly. It’s comparable to the feeling when you clean your whole house and you stand back at the end of the day and admire your work. However, this begs the question, do us viewers really follow the advice being given out on these reality TV shows in their own lives? The old versions of these shows were, on one hand, very shallow and all about the looks, and on the other about giving you the biggest and most outrageously kitted-out house you could imagine. However in recent years the makers of these TV shows have refined their ideas and combined them, to give them a more well-rounded concept. We all know who the ‘Fab Five’ are, and if you don’t you should. 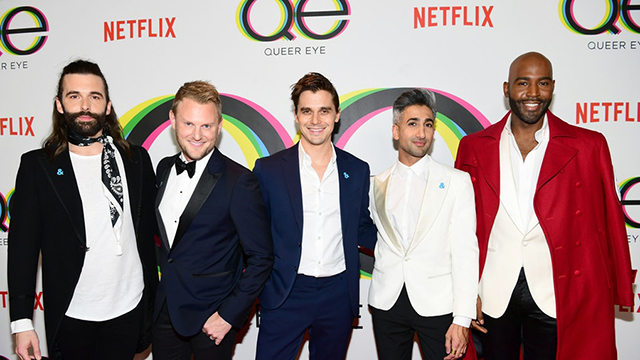 Queer Eye is a show that actually began in 2003 with a completely different cast but was revamped in 2018 by Netflix. This new revived Queer Eye has swept the world with its rays of sunshine and messages of self-love. Thank you Jonanthan Van Ness and your beautiful moustache. Another example of a show that aims to provide stability in peoples’ lives is Tidying up with Marie Kondo. This show is one where Marie, the Japanese ‘organising consultant’ arrives to your house in a whirlwind of vacuum packs bin bags and helps you tidy and organise your house. Both of these shows actually offer manageable tips and tricks for their viewers that they can put into practice in their own lives. Things like simple hygiene and style tips, the practice storing things vertically instead of piling things up and of course the iconic “Spray, delay, walk away”. Yes these tips are helpful, and in an ideal world we would all follow them religiously. However, it’s important to remember when watching these shows that just because your house doesn’t look like it came out of an IKEA flat pack, and you don’t have a brand new bedroom with snazzy art hanging on the walls doesn’t mean your life is in disarray. On one hand these shows give us tips and show us how to care for ourselves, which promotes a really good message that self-love isn’t selfish but on the other hand it’s important to remember that your house and appearance doesn’t have to be ‘perfect’ all the time, because in reality no one is perfect.